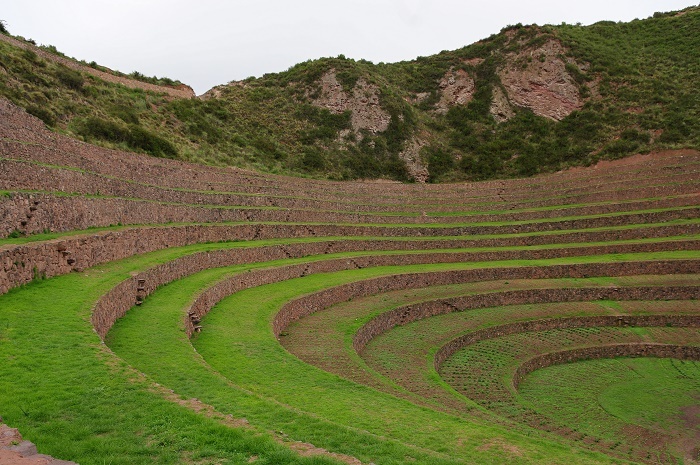 Moray is an archaeological site that was once developed by the Incas, and it is located on a high plateau of the Cusco Region to the southern part of the Republic of Peru. 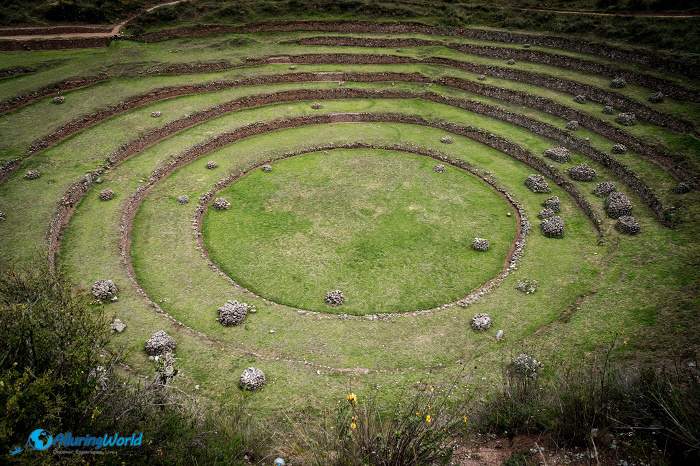 As the site consists of several terraced circular depressions, still today it is unclear what was the reason for its construction. 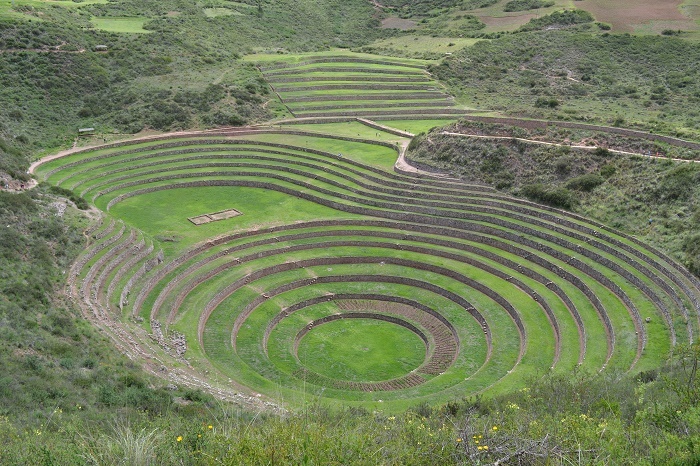 Even though it looks like a Roman amphitheater, the Incas did not have structures as such, so the archaeologists are giving the theory that Moray was most likely used as an experimental agricultural laboratory, or better yet something like an experimental station with hope that it will work fine and then its success will be transferred throughout the Inca Empire. 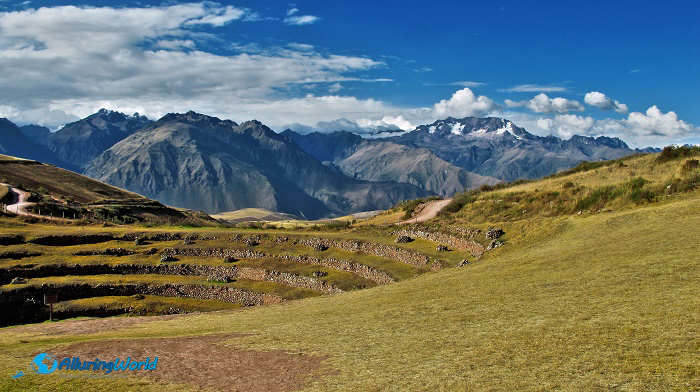 Due to the high altitude of some 3,500 meters (11,483 feet) above the sea level, the ruin is considered to be a micro climate with changes in the weather that is typical for the region where the Incas were living, among which the highest levels of the rings have the regular temperature of the area, while the lowest is as low as 15 degrees Celsius (59 degrees Fahrenheit). 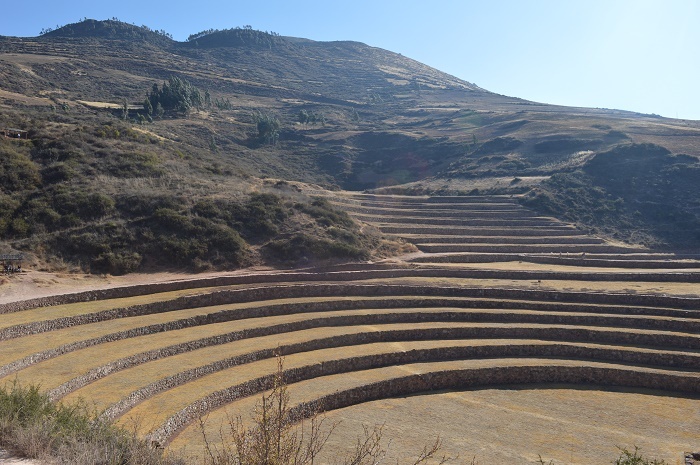 This makes everyone to come to the same conclusion that the archaeological site was used as a test bed to see what kind of crops are suitable for different region of the empire. 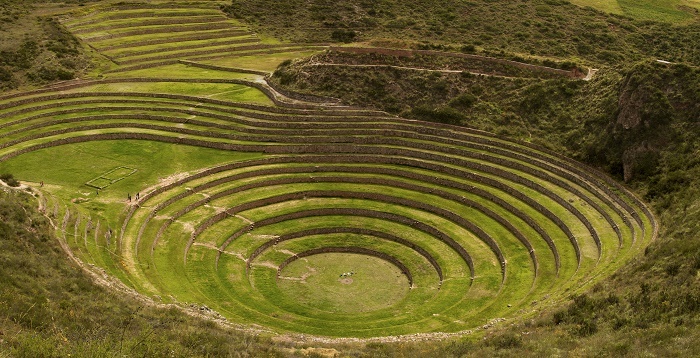 Nevertheless, Moray was named from the word Amoray which means ‘harvest of the corn’, an activity that happens in May, but there are also sources which suggest that it was named also from Moray which means ‘dehydrated potato’, a food source that was quite popular among the indigenous people. 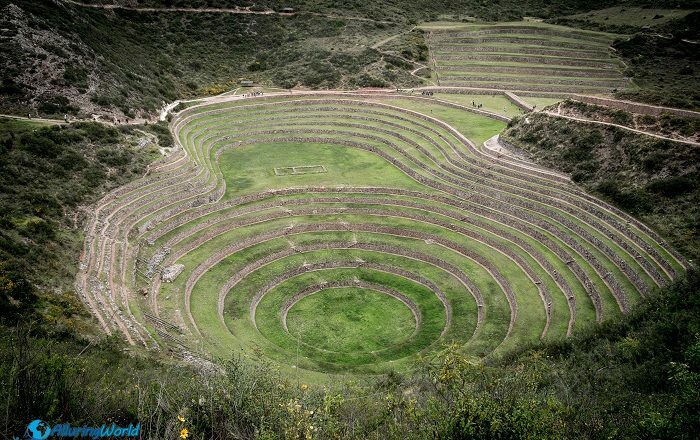 Looking like a moon crater that has four levels in somewhat semicircular form, archaeologists have even found an irrigation system which helped in the development of the agricultural activities. 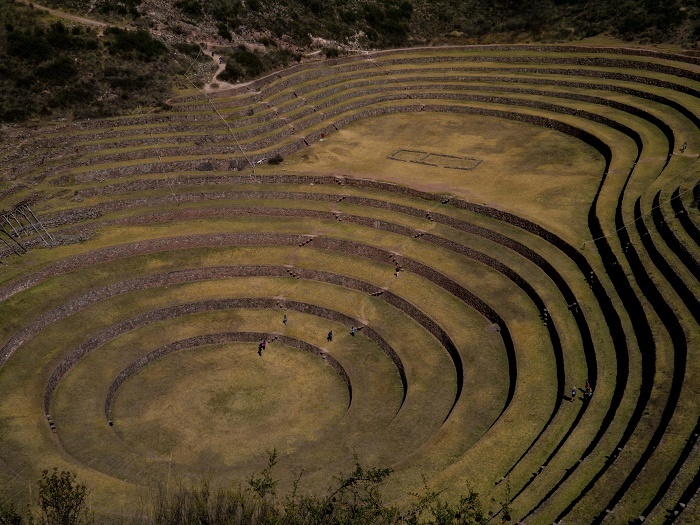 With various sizes, the largest ending ring is some 30 meters (98 feet) deep, while being 220 meters (722 feet) wide. 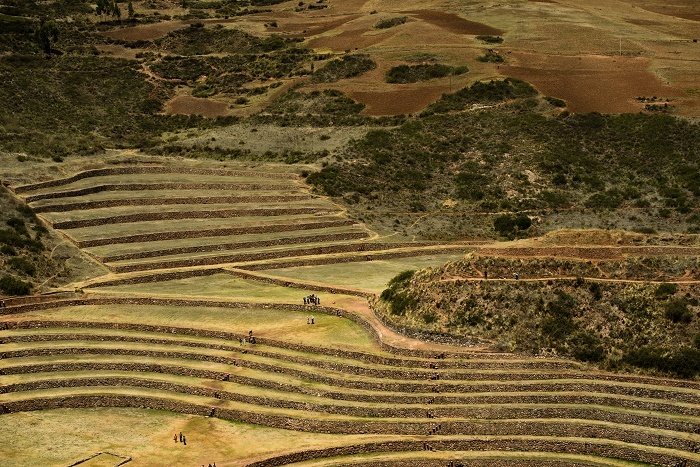 Even the soil is not what one can find in the area, as it suggests that most likely it was imported from the other places in the region. 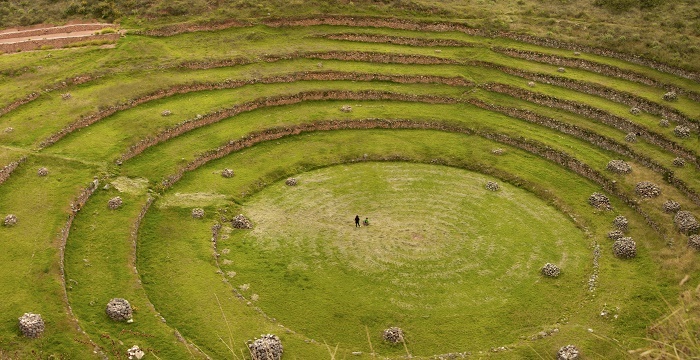 Unfortunately, during the rainy season of 2009-2010, there were unusually higher levels of rain which caused for the principal circle on the eastern side of the complex to collapse, making the entire site to be considered for a preservation with hope that the stone and compacted earth will be well protected from future events as this one. 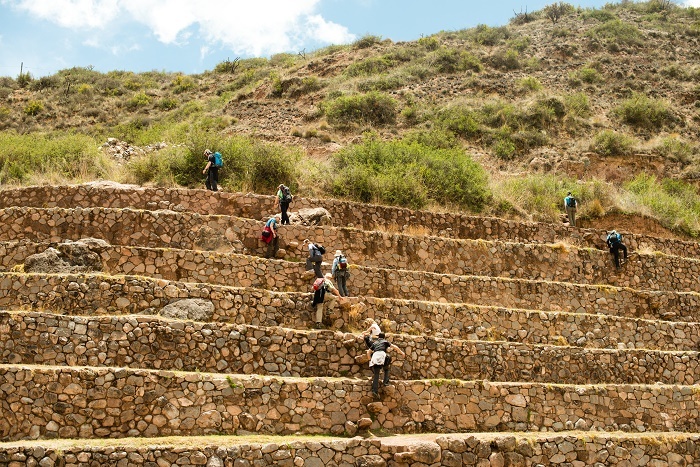 Due to the lack of funds, this important work is somewhat slow, creating a greater danger of further degradation and collapse to occur in the near future. 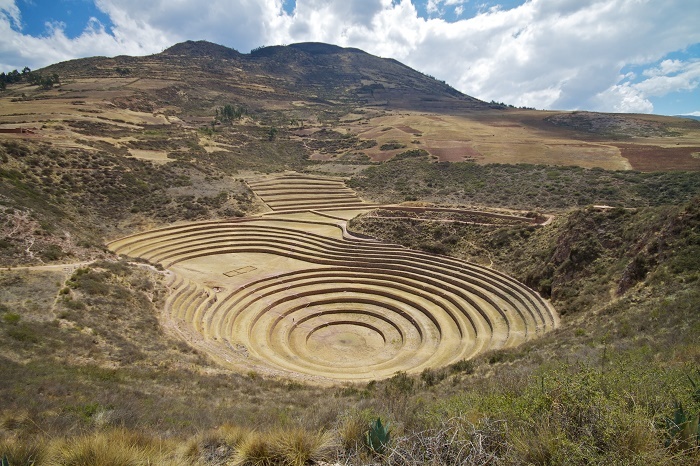 In spite of that, without denying, nowadays Moray is certainly considered as a majestic masterpiece that was left from the Inca Empire, and some will even go further to claim that it is а piece of ancient engineering wonder that definitely deserves to be seen whenever in Peru.